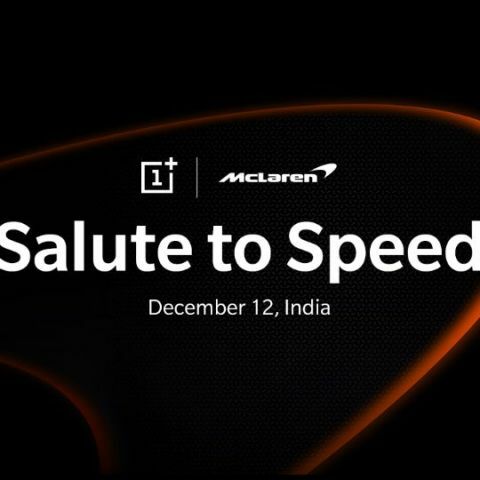 OnePlus had recently announced a partnership with leading automaker McLaren. The partnership incorporates both McLaren Automotive and McLaren Racing. Just two days after the company announced that it has partnered with the Britain-based automaker McLaren to possibly launch the OnePlus 6T McLaren Edition smartphone, a report has claimed that the device in question will have 10GB RAM and 256GB onboard storage. According to mysmartprice, the device is expected to first launch in Woking, London on December 11, followed by a launch in Mumbai, India on December 12. With this expected launch, OnePlus will also join the fray of smartphone that have automobile brands special edition of devices. Recently, Huawei announced a Huawei Mate 20 Porsche Edition smartphone and Oppo released the Lamborghini Edition of its Find X smartphone. The collaboration has a new term “In a salute to speed” that falls in line with company’s new tagline, “Unlock the Speed”. The partnership incorporates both McLaren Automotive and McLaren Racing -- one of the most successful teams in Formula 1. OnePlus has been creatively collaborating with franchise since it launched the OnePlus 3T two years ago. The company teamed up with Parisian retailer Colette to produce the OnePlus 3T Colette 20th Anniversary Edition. Later, OnePlus worked with Jean-Charles de Castelbajac to launch the OnePlus 5 JCC+Limited Edition “Callection”. For the OnePlus 5T, the Chinese tech company launched the OnePlus 5T Star Wars Limited Edition. The most recent collaboration was in April this year, when it announced a partnership with Marvel Studios to launch the OnePlus 6 Marvel Avengers Limited Edition smartphone. Ram and Graphics Card Ram?